Replacing the windows in your home is one of the easier things you can do to improve both the look and energy efficiency of your home. No matter what type of home you have or the look you are trying to achieve, we offer a wide variety of styles and options to meet any needs and budget. There is no better choice for window replacement in Madison. What Makes Feldco The Best Choice for Replacing Your Windows in Madison? Since 1976 Feldco has been the #1 choice for Midwestern homeowners when it comes to replacement windows. Feldco has been nationally recognized for excellence when it comes to our windows and their emphasis on not just satisfying our customers, but delighting them. Feldco has transformed homes for 40 years and will transform even more Madison homes for years to come. Replacing your windows is both easy and fun. If you want to keep the style of window you already have but just replace it with a new, more energy efficient one, that is a simple fix. However, you don’t have to be constrained by your existing window style. 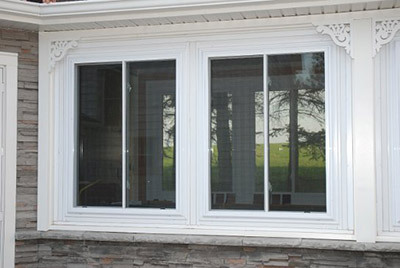 You can choose any replacement window for the existing opening in your home. 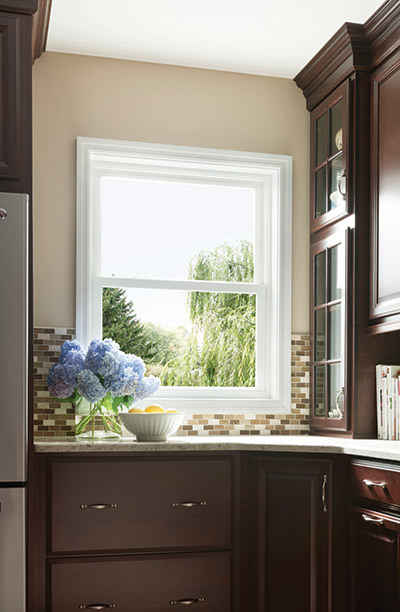 Swap out a casement for a brand new double hung, or take an existing picture window and add a beautiful new bay window! The possibilities are endless. With a variety of options and colors available, you can create the look and functionality you have always wanted with your replacement windows! 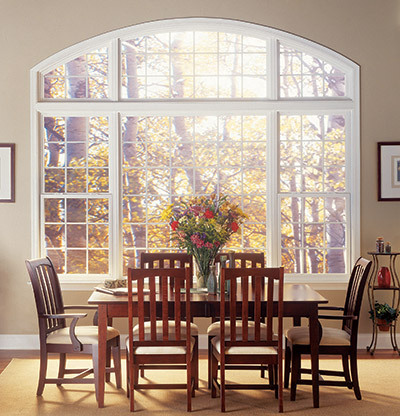 Double hung windows are the most common style and have two operating sashes offering different ventilation options. Their tilt-in sashes are designed to make the windows extremely easy to clean from the inside of your home. 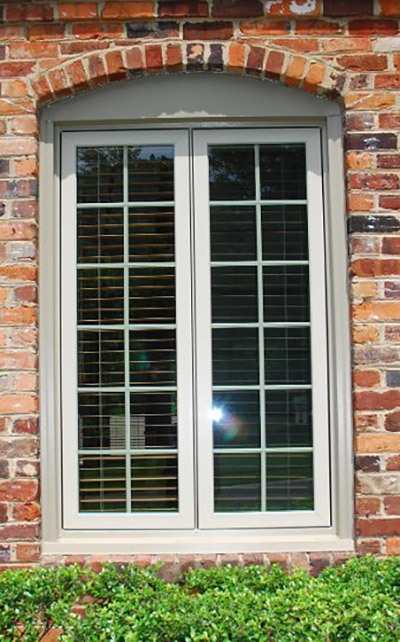 The classic look of a double hung window can be used in most rooms of your home and work with any house style. Grids on either the top sash, or both sashes are a popular option as another way to transform the look of your home. Casement windows open outward, away from your home. The one large sash is opened with a crank and offers clean lines with its unobstructed view. 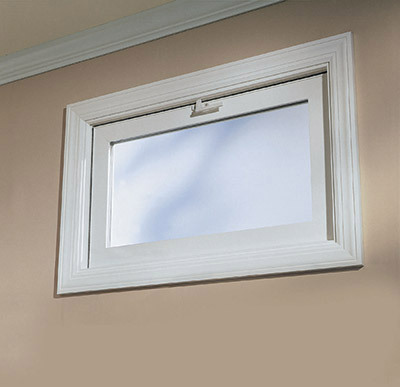 You can control the level of ventilation you want in your home by how much you crank open the window. The handle lays flush to the bottom of the window so as not to protrude and disturb any window treatments you may have. While a double hung window opens top to bottom, sliding windows open right to left. They are great for their ease of use and contemporary styling. Feldco sliding windows have a state-of-the-art sliding system so you don’t have to worry about sticking and racking. Sliders are great above a kitchen counter where it could be harder to reach the window to allow air into the room. 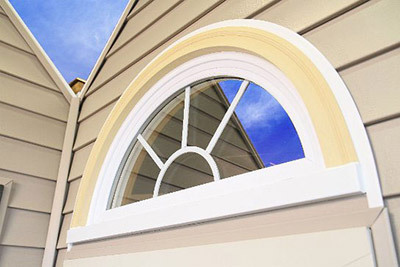 Both bay and bow windows extend past the wall of your home’s exterior, adding both dimension and beauty to your home. They can be configured in different ways. Bay windows typically have a picture window in the center which is flanked by casements or double hung windows. Bow windows have three, four or five windows and can be a combination of fixed picture windows, double hung windows or casement windows. You can truly create the look you want for your home. Picture windows are fixed windows, meaning they do not open. They are usually larger in size and can often be found in combination with other windows. While you don’t get the ventilation with a picture window, you do get a lovely, unobstructed view of the outside. 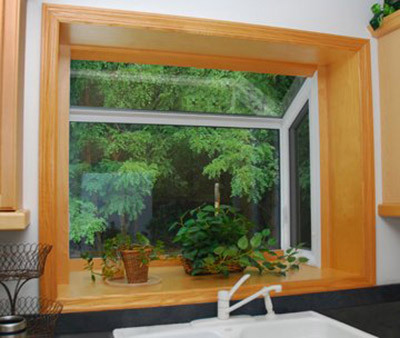 You can use a picture window in smaller spaces too, where ventilation is not required. 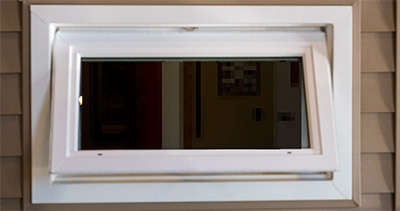 Awning windows are named as such because they open from the bottom and when raised, create an awning affect. You can then enjoy ventilation no matter the weather outside! You can use awning windows on their own, or in conjuntion with other windows to create the appearance of a larger window and a beautiful, unique and functional element for your home. You don’t have to worry about a dark and gloomy basement anymore. Feldco basement windows will not only let light into the room, but improve air ventilation as well. 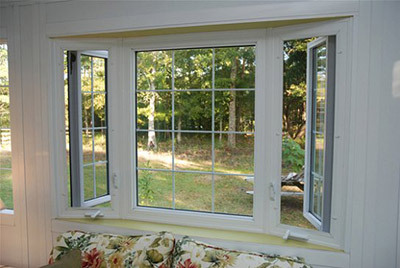 They offer an easy-to-operate handle so the window sash can be pulled into the room letting more light and some air in. If you want some additional privacy in the basement, consider adding obscured glass to the window. You will be able to enjoy your basement even more with Feldco windows. A garden window extends past the façade of your home’s exterior. It offers a large awning window in the back allowing you to ventilate whichever room you choose to use it. The resulting air and all the light from the garden window can help you bring a little of the outdoors in! You have the option of adding a shelf to the garden window to display your favorite keepsakes or your own little herb garden. If you are looking for a window to add some light or to complement some other windows in your home, consider an architectural window. They are available in a variety of shapes and styles and will no doubt help you create a custom look for your home. Your windows are only as good as the team installing them. The installers Feldco will send to your home to complete your home renovation project are among the best in the industry. 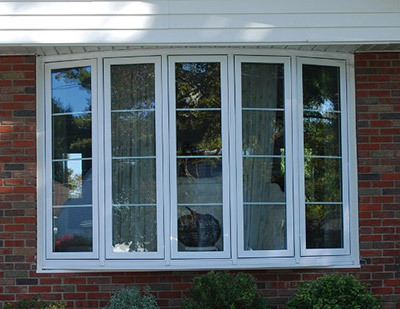 They are dedicated to ensure each and every one of your windows is installed properly which will result in the best functionality and energy efficiency. All installers are factory-trained, background-checked and tested to be drug-free. You will no doubt be delighted with the craftsmanship your installers will bring to your home, and be thrilled with the final result. You really need to look no further for your Madison window replacement. With 40 years in business and hundreds of thousands of delighted customers, you can be comfortable in choosing Feldco for your project. You will not only receive an excellent price on your windows, but enjoy a more comfortable home with the ultimate in energy efficiency. You will save money on your heating and cooling bills and improve the overall value of your home with beautiful new windows. Whether you do a room, or your entire house, there is no better time to join the Feldco family.